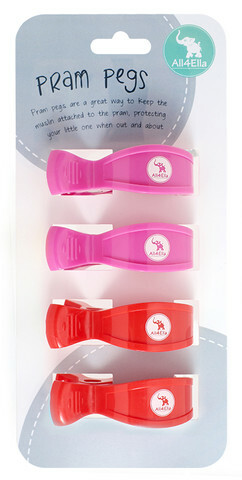 Pram pegs are a fantastic way to attach your baby’s blanket or toy so that it can’t fall out of the pram. They can also be used to attach a cover over the pram to stop the sun or wind. 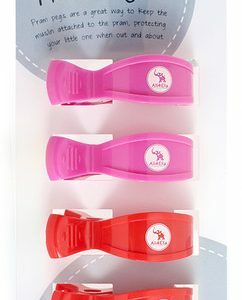 Perfect for baby shower gifts or newborn presents.